People are being reminded that they can still spruce up their communities in this year’s Big Spring Clean campaign. 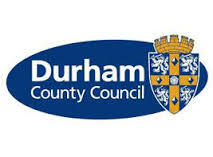 The campaign, which started in February, will see Durham County Council, LitterFree Durham and Darlington Borough Council team up for the sixth time. Residents, schools and community groups still have until Sunday 17 April to organise a litter pick in their area. Anyone who wishes to take part will have equipment provided for them and arrangements will be made to collect all bagged rubbish following litter picks. Last year nearly 2,000 volunteers dedicated more than 3,500 hours to collecting 2,013 bags of rubbish in total across County Durham and Darlington. To take part in a litter pick in County Durham email litterfreedurham@durham.gov.uk or call 03000 261 000. To volunteer in a litter pick in Darlington email litterfreedurham@darlington.gov.uk or call 01325 406 648. To report any litter problems visit www.durham.gov.uk/litter or call 03000 261 000.